Genuine Ravel tall boots with a black faux suede upper and faux fur cuff around the top. 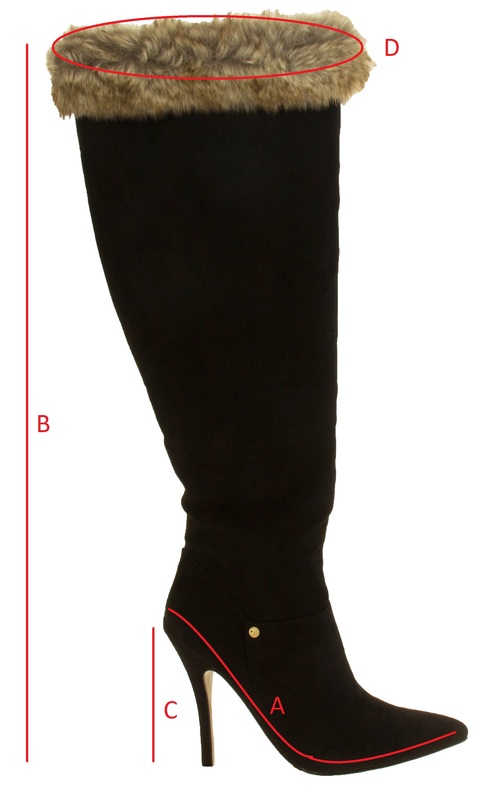 It has a zip fastening on the inside leg, with a stiletto heel and a padded insole for comfort. Such a striking yet elegant design. Perfect for evenings, or parties.